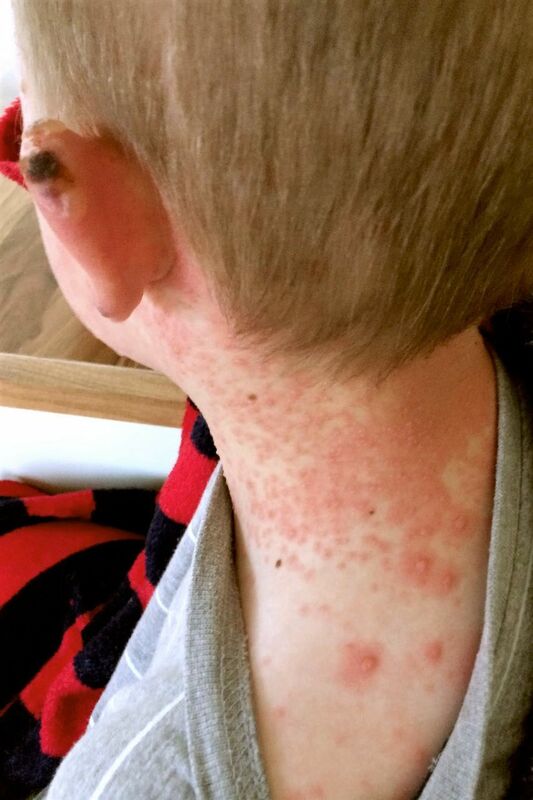 A 6-year-old boy presented with a 2-year history of recurrent episodes of painful, haemorrhagic vesicles and erythema affecting the face, ears and neck, 2 hours after sun exposure (figures 1 and 2). He had severe ulceration and crusting affecting the helix of his ear (figure 3). Healing was accompanied by residual varioliform, atrophic scarring (figure 4). 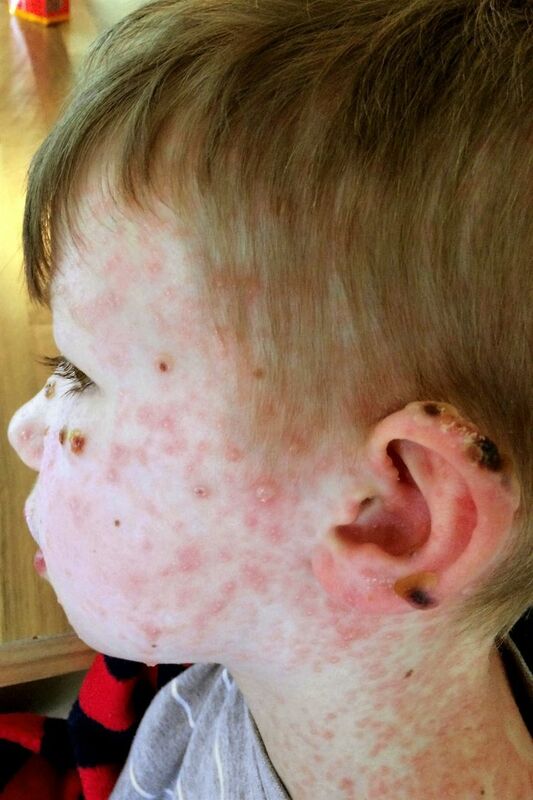 His rash occurred during spring and summer months and only affected sun-exposed sites. Tender erythematous vesicles and papules with haemorrhage and crusting arising 2 hours after sun exposure. 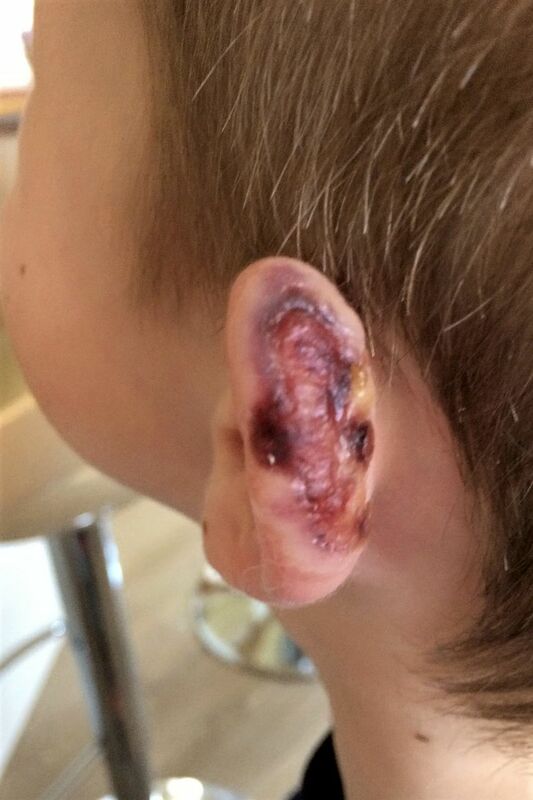 Severe ulceration and crusting affecting the helix of his ear. Resolving eruption and residual varioliform, atrophic scarring. He was referred for investigation in a photodermatology unit, which showed positive provocation of his rash with broadband ultraviolet (UV) radiation and reduced phototest thresholds at 350–370 nm wavelengths, confirming the presence of UVA photosensitivity. Epstein-Barr virus (EBV) IgG was positive. His connective tissue disease and porphyria screens were negative. 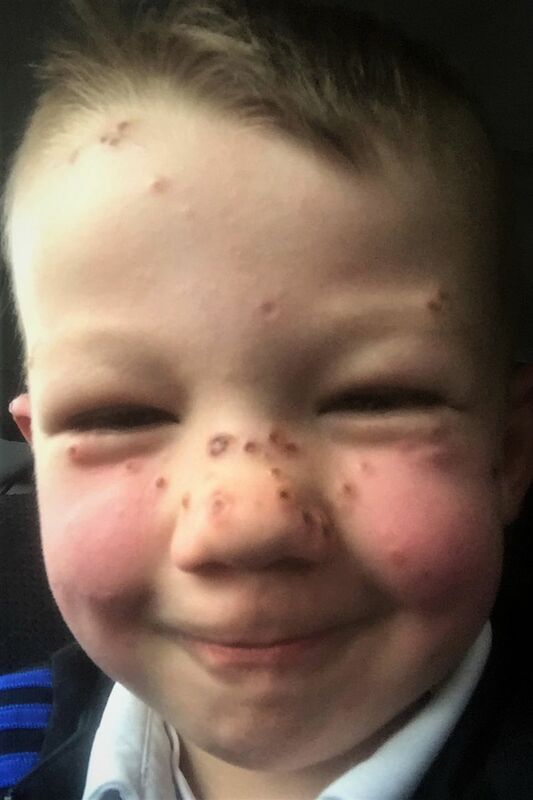 Hydroa vacciniforme is a photosensitivity disorder of childhood of unknown aetiology which leads to painful vesicular eruptions affecting sun-exposed sites, settling with haemorrhagic crusting. It tends to resolve in adolescence but can leave permanent pox-like, depressed scarring. An association has been found between hydroa vacciniforme and latent EBV infection.1 Management includes careful photoprotection with broad-spectrum sunscreens, sun-protective clothing and UV films for windows. Regular vitamin D replacement should be offered. Appropriate urgent referral is vital to improve quality of life and to minimise scarring.
. Dermatology: 2-Volume Set, 4e: Elsevier. Contributors The manuscript was written by TA. LER contributed to critical revision of the manuscript.